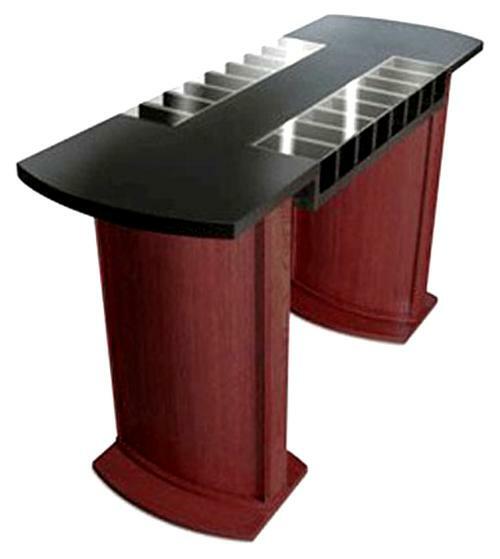 Model USCVXD16 stylish two-sided check desk, shown in red mahogany finish, with curved laminate counter with 16 compartments. It has a flush-mounted acrylic writing top and an attractive convex oak pedestal. Dimensions: 42" H x 72" W x 25" D.